The 2018 AFF Championship was the 12th edition of the AFF Championship, the football championship of nations affiliated to the ASEAN Football Federation (AFF), and the 6th under the name AFF Suzuki Cup. The final tournament ran from 8 November and ended on 15 December 2018. Through the agreement between AFF and East Asian Football Federation (EAFF), the winner of the tournament will qualify for the AFF–EAFF Champions Trophy. Thailand had been the defending champions, but lost to Malaysia in the semi-finals.Vietnam won the tournament by a 3–2 victory in the two-legged final against Malaysia to secure their second title, and subsequently qualified to meet 2017 EAFF E-1 Football Championship winner of South Korea in the 2019 AFF–EAFF Champions Trophy. In March 2016, it was reported that the AFF was mulling over changes to the tournament format due to the failure to attract big crowds for matches not involving the host nation. It was then confirmed by the AFF that starting with the 2018 edition, a new format would be applied. The nine highest ranked teams would automatically qualify with the 10th and 11th ranked teams playing in a two-legged qualifier. The 10 teams would be split in two groups of five and play a round robin system with each team playing two home and two away fixtures. A draw will be made to determine where the teams play while the format of the knockout round would remain unchanged. Nine teams were automatically qualified in the AFF Championship final tournament. Based on the 2016 AFF Championship ranking, Brunei and Timor Leste played in a home and away play offs which was conducted on 1 and 8 September 2018 with the latter securing qualification. Australia, a member since 2013, did not enter the tournament. The draw for the tournament was held on 2 May 2018 at Hotel Mulia in Jakarta, Indonesia with the pot placements followed each teams progress in the previous two editions. At the time of the draw the identity of the national team that secured qualification was still to be determined (Timor-Leste). Each team were allowed a preliminary squad of 50 players. A final squad of 23 players (three of whom must be goalkeepers) must be registered one day before the first match of the tournament. The following referees were chosen for the competition. There are one venue for each participating countries in the tournament with each countries get two group matches played in their home stadium. Before the tournament being held, both the Football Association of Indonesia (PSSI) and Myanmar Football Federation (MFF) have requested AFF to allow their two home matches to be held in two different stadiums in different cities. The Vietnam Football Federation (VFF) also asked AFF to move their final group match against Cambodia to Hàng Đẫy Stadium as the match date is coincides with the opening ceremony of the Vietnam National Games that will be held in Mỹ Đình National Stadium by which the request was accepted through the AFF meeting in Phnom Penh, Cambodia on 13 September. East Timor will play their designated "home" match against Thailand at the Rajamangala Stadium in Bangkok, while their home tie against the Philippines will be played at the Kuala Lumpur Stadium in Malaysia due to the incomplete floodlighting of the Dili Municipal Stadium. Greater number of goals scored in all the group matches. Drawing lots by the Organising Committee. 2–2 on aggregate, Malaysia won on away goals. Vietnam won 4–2 on aggregate. Vietnam won 3–2 on aggregate. There were 80 goals scored in 26 matches, for an average of 3.08 goals per match. • Player who get a card during the semifinals and final doesn't include here. This table will show the ranking of teams throughout the tournament. 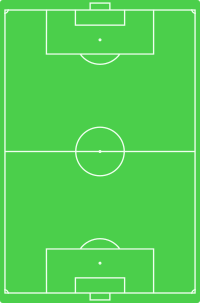 AFF Suzuki Cup colour scheme. New tournament visuals, including a logo, for the AFF Championship was unveiled for the 2018 edition during the official draw held on 2 May 2018. The ASEAN Football Federation cooperated with Lagardère Sports for the tournament's branding. Five attributes were identified that are "synonymous" to the tournament. Elements combined to form the logo are a beating heart, a goalpost and raised hands by a fan that is meant to signify "pride, loyalty, football, rivalry, and passion". In addition a colour scheme was developed for the branding. The colours devised are magenta (passion and energy), cyan (fresh beginning), green (vibrancy of a football pitch) and blue (topography of the region). The official ball for AFF Suzuki Cup 2018 is the Primero Mundo X Star, which is sponsored by Grand Sport Group. The Vietnam Football Federation (VFF) was fined VNĐ220 million (US$10,000) by the ASEAN Football Federation (AFF) for failing to send any Vietnamese players to attend the press conference before the opening match against Laos on 8 November in Vientiane, with a warning that the penalty will be heavier if it happens again. Under AFF rules, any head coach and a starting player from each team must show up at the pre-match press conference one day prior to the match. During the encounter between Myanmar and Vietnam in Group A in Yangon, the Vietnamese side was dissatisfied over the controversial decision made by Qatari referee Khamis Al-Marri after two penalty calls were denied, and another goal was ruled offside by Thai linesman Phubes Lekpha despite video replay showing the Vietnamese player was indeed onside at that time. An argument then occurred between Burmese coach Antoine Hey and Vietnamese coach Park Hang-seo which resulted in Park not shaking hands with Hey after the match. As a result, the availability and importance of video assistant referee (VAR) like in the recent 2018 FIFA World Cup is questioned where many believed it should have been enforced in all international football matches. Prior to the group match between Malaysia and Vietnam in Hanoi, young Vietnamese football fans who waiting over a night to buy tickets are being threatened by local thugs and gangsters and forced to leave. Police scouts was then being dispatched to monitor the gangs activities. This is not the first or second time this is happening. This matter is not something only Malaysia should be apologising for. It’s not only for the fans of our country. We are doing it so that it won’t happen again in any host country when other countries come and play. The host country should take extra care and responsibility around the stadium. The hosts also need to take responsibility for the spectators’ safety. If this keeps happening in an host country, it will affect the AFF’s integrity. No one (the visitor team supporters) will come and watch the matches in the future. Thus, in order to prevent this from happening again, we sent a letter to AFF. —  U Ko Ko Thein, General Secretary of the Myanmar Football Federation. Following the complaint, FAM were given two warning notices by the AFF with a possible fine of RM21,000 (US$5,000), with the latter warning a direct result of some Malaysian supporters throwing airbomb into the stadium track after the end of the group match against Myanmar. The Football Association of Indonesia (PSSI) was fined Rp116 million (US$8,000) by the AFF after one of their players were found to be using a shirt with sponsor logo during their training session before the group match against Timor-Leste. Under the AFF Disciplinary Code 6.11 (Colour and Shirt Number), each team may not display the sponsor's logo either inside or outside the stadium during official training, games and at press conferences. Another possible fines of Rp73 million (US$5,000) also received by the team after they forgot to put the tournament logo in their home shirt during the match against Timor-Leste. Following the team's poor performance and early elimination in Group B, PSSI chairman Edy Rahmayadi blamed Indonesian media and press as the main cause for the team failure. Coach Bima Sakti's accusation on the Philippines team using many "naturalised players" also angered many Filipino football supporters. Philippines midfielder Stephan Schröck, a Filipino-German, also expressed his anger via social media saying “call us half-bloods all day, but once we’ve met, only half of you will be left”. During the press conference of the first leg final in Malaysia, a dispute between Malaysian and Vietnamese photographer occurred when the latter overshadow Malaysian photographer sights who was standing behind to taking the photo of both teams, causing them to reacted angrily and saying "Don't stand up!" with another Malaysian photographer wearing a cap with black shirt began to approaching the Vietnamese photographer but was being calmed by the press conference staffs as well Malaysian coach Tan Cheng Hoe who urging everyone to remained calm during the tense situation before making his speech on the upcoming final matches. A video footage on the incident had been circulating on YouTube with another voice also being recorded as saying "Oh no! A stupid photographer!". Many Malaysian and Vietnamese fans who cannot get even a single ticket are also disappointed over how tickets management are being conducted by both FAM and VFF. In Malaysia, many of the fans queue up overnight and even camping outside the stadium with some are unconscious after being trampled by other fans in crowded areas. Similar situation also occurred in Vietnam, hundreds of Vietnam People's Army (VPA) wounded veteran gathered outside the VFF's office gate to buy priority tickets for the second final match since the VFF had announced that it will sell direct tickets to those who have difficulty to buy online tickets. This resulting to chaos when they forcing to break the federation office main gate. Prior to the first final match between the two countries in Malaysia, many Vietnamese fans who come to the stadium are disappointed when they are not allowed to enter despite having tickets due to what was claimed to be “over-crowding” issue by the stadium management. One of the fans telling that an auxiliary police officer already said to her the seating area in the second tier at the stadium (directly above the visiting fans' place) is actually allocated for their fans but it seems to be already overtaken by the host fans instead. Both sides fans also expressed their frustration over the no decision taken by Australian referee Chris Beath in two incidents in the first final game such as the scuffle between two players and another foul when the ball hitting one of the Malaysian player hand in their penalty area in the 28th minute. ^ "Suzuki returns as AFF Championship title sponsor". Sports Pro Media. 9 February 2018. Retrieved 9 April 2018. ^ a b "New format for AFF Suzuki Cup 2018". ASEAN Football Federation. 23 September 2017. Retrieved 24 September 2017. ^ "AFF, EAFF introduce Champions Trophy for Regional Winners". ASEAN Football Federation. 15 December 2018. Retrieved 31 January 2019. ^ "Thailand suffer shock exit in AFF Suzuki Cup". The Nation. 5 December 2018. Retrieved 6 December 2018. ^ a b "Vietnam edge Malaysia for title". Asian Football Confederation. 15 December 2018. Retrieved 15 December 2018. ^ Trung Hung (15 December 2018). "Vietnam win second AFF Cup trophy". Nhân Dân. Retrieved 15 December 2018. ^ "Vietnam crowned at AFF Championship after 10 years of waiting". Xinhua News Agency. 16 December 2018. Retrieved 16 December 2018. ^ Huyen Huong (17 December 2018). "Vietnam to meet South Korea in AFF- EAFF Champions Trophy". Sài Gòn Giải Phóng. Retrieved 31 January 2019. ^ Dang Khoa (15 January 2019). "Vietnam, S. Korea to clash in first AFF-EAFF Champions Trophy". VnExpress. Retrieved 31 January 2019. ^ "AFF proposes Suzuki Cup format changes". Football Channel Asia. 11 March 2016. Archived from the original on 24 December 2016. Retrieved 12 December 2016. ^ "New format confirmed for AFF Suzuki Cup". Football Channel Asia. 14 March 2016. Archived from the original on 14 March 2016. Retrieved 12 December 2016. ^ Huaxia (9 September 2018). "Timor-Leste through to AFF Championship group stage after 3-2 win over Brunei". Xinhua News Agency. Retrieved 9 September 2018. ^ Beatrice Go (3 April 2018). "Azkals move forward with possible new recruits, 'bayanihan' initiatives – Palami". Rappler. Retrieved 7 April 2018. ^ "Official Draw to Raise Curtain on AFF Suzuki Cup 2018". 2018 AFF Suzuki Cup. 23 April 2018. Archived from the original on 19 December 2018. Retrieved 28 April 2018. ^ "Philippines Football Teams Journey To Forge Their Place Among Asia's Best". Philippine Football Federation. 27 April 2018. Retrieved 27 April 2018. ^ "VN, Thailand top seeds at 2018 AFF Cup". Vietnam News. 2 March 2018. Retrieved 5 March 2018. ^ "AFF Suzuki Cup Draw: The Possible Groups and Match-ups". 2018 AFF Suzuki Cup. 23 April 2018. Archived from the original on 19 December 2018. Retrieved 28 April 2018. ^ "AFF Suzuki Cup 2018 Tournament Regulation" (PDF). ASEAN Football Federation. Retrieved 1 December 2018. ^ Ooi Kin Fai (2 May 2018). "Indonesia proposing Pakansari and Patriot Stadiums for 2018 AFF Suzuki Cup group matches". Goal.com. Retrieved 9 September 2018. ^ Win Htut (27 August 2018). "MFF proposes AFF to allow two ASEAN Suzuki group matches to be held in Yangon and Mandalay". Eleven Myanmar. Retrieved 9 September 2018. ^ Bá Hổ (12 September 2018). "AFF Cup 2018: Trận Việt Nam - Campuchia không đá trên sân Mỹ Đình" [AFF Cup 2018: Vietnam vs Cambodia match will not be played at Mỹ Đình Stadium]. Saostar (in Vietnamese). Soha.vn. Retrieved 13 September 2018. ^ Theo Tiến Anh (13 September 2018). "Vì sao ĐT Việt Nam không đá AFF Cup 2018 trên sân Mỹ Đình? [AFF nhất trí đề xuất của Việt Nam về việc chuyển địa điểm thi đấu trận gặp Campuchia ngày 24.11 về SVĐ Hàng Đẫy thay vì sân Mỹ Đình như dự kiến]" [Why do not Vietnam play their AFF Cup 2018 match in Mỹ Đình Stadium? [AFF agreed on Vietnam's proposal to move the match against Cambodia on 24 November to Hàng Đẫy Stadium instead of Mỹ Đình Stadium as scheduled]. Goal.com (in Vietnamese). Dan Việt. Retrieved 13 September 2018. ^ Gabriel Tan (3 October 2018). "Timor-Leste to play AFF Suzuki Cup home games in Thailand, Malaysia". Fox Sports Philippines. Retrieved 3 October 2018. ^ "2018 AFF Suzuki Cup Best XI". 2018 AFF Suzuki Cup. 18 December 2018. Archived from the original on 19 December 2018. Retrieved 19 December 2018. ^ a b c "AFF Suzuki Cup 2018: Vietnam's Nguyen Quang Hai named MVP of the tournament". Fox Sports Asia. 15 December 2018. Retrieved 15 December 2018. ^ a b c "Southeast Asia's Most Watched Football Tournament AFF Suzuki Cup Unveils Progressive New Look". 2018 AFF Suzuki Cup. 2 May 2018. Archived from the original on 19 December 2018. Retrieved 2 May 2018. ^ "มาตรฐานระดับโลก! แกรนด์สปอร์ตเปิดตัวลูกบอลใช้ในศึกซูซูกิคัพ 2018" [World class standards! Grand Sport launches ball used in the Suzuki Cup 2018] (in Thai). Goal.com. 2 November 2018. Retrieved 2 November 2018. ^ "เอเอฟเอฟเปิดตัวลูกบอลแกรนด์สปอร์ตใช้ในศึกซูซูกิ" [AFF launches Grand Sport ball used in the Suzuki battle] (in Thai). Fox Sports Thailand. 3 November 2018. Retrieved 3 November 2018. ^ a b "Grand sport partners AFF Suzuki Cup 2018 as official match ball and kit supplier". ASEAN Football Federation. 28 August 2018. Retrieved 3 November 2018. ^ "Suzuki returns as AFF Championship title sponsor". Soccerex. 9 February 2018. Retrieved 3 November 2018. ^ "Huawei's smartphone brand, Honor, becomes the first Chinese sponsor of the AFF Suzuki Cup". 2018 AFF Suzuki Cup. 8 November 2018. Archived from the original on 19 December 2018. Retrieved 8 November 2018. ^ "Men's Bioré supports AFF Suzuki Cup 2018 as official sponsor". ASEAN Football Federation. 30 October 2018. Retrieved 3 November 2018. ^ "Yanmar scores 2018 ASEAN Football Championship partnership deal". Yanmar. 15 May 2018. Retrieved 3 November 2018. ^ "AirAsia takes flight with AFF Suzuki Cup 2018 as official supporter". Marketing Interactive. 5 March 2018. Retrieved 3 November 2018. ^ "Pinaco renews as official supporter of AFF Suzuki Cup 2018". ASEAN Football Federation. 27 September 2018. Retrieved 3 November 2018. ^ "AFF Suzuki Cup 2018 scores Unionpay as Official Payment Brand". 2018 AFF Suzuki Cup. 2 November 2018. Archived from the original on 19 December 2018. Retrieved 3 November 2018. ^ "100PLUS as official hydration partner of AFF Suzuki Cup 2018". ASEAN Football Federation. 2 October 2018. Retrieved 3 November 2018. ^ "The Official TV Listings for FOX Sports, FOX Sports 2, FOX Sports 3". TV Fox Sports Asia. Retrieved 3 November 2018. ^ a b c "Vietnam Television earns broadcast rights for AFF Suzuki Cup 2018". Nhân Dân. Vietnam Net. 3 September 2018. Retrieved 3 September 2018. Lagardère Sports, the official football supplier of the 2018 AFF Suzuki Cup, agreed to sell the broadcast rights to VTV, Lao National Television (TV Lao) and the Radio Television Brunei (RTB). ^ a b c "AFF Suzuki Cup 2018 – Live Streaming [Official Broadcasters]". 2018 AFF Suzuki Cup. Archived from the original on 19 December 2018. Retrieved 22 October 2018. ^ "ដឹងតែល្អមើលហើយ SUZUKI CUP ឆ្នាំនេះអ្នកនៅកម្ពុជា អាចទស្សនាបានគ្រប់ការប្រកួតទាំងអស់" [It's good to see the SUZUKI CUP this year, all Cambodians can watch all competitions] (in Khmer). Cambodian Football News. 20 September 2018. Retrieved 24 September 2018. ^ "Indonesian rights deal signed for AFF Football Championship". SportBusiness. 12 April 2018. Retrieved 3 September 2018. ^ Futbal Momentum Asia - FMA (3 November 2018). AFF SUZUKI CUP 2018 - TEASER (0:18). YouTube. Retrieved 3 November 2018. ^ "RCTI sebagai official boradcaster Pialasa Suzuki AFF 2018-2020 dengan format baru" [RCTI as the official broadcaster of the 2018-2020 AFF Suzuki Cup with a new format] (Press release) (in Indonesian). RCTI. 12 April 2018. Retrieved 10 November 2018. ^ @En_zulkar2 (4 August 2018). "Berikut ini adalah skema Tayangan utk Piala Indonesia,AFF Suzuki Cup dan UCL di RCTI sekaligus penayangan via paytv non MNC" [The following is the schedule scheme for the Indonesian Cup, AFF Suzuki Cup and UCL on RCTI as well as broadcast via paytv non MNC] (Tweet) (in Indonesian). Retrieved 17 October 2018 – via Twitter. ^ K-Vision (7 November 2018). "Dan inilah yang kita tunggu-tunggu! AFF SUZUKI CUP 2018 segera hadir di K-Vision! 🎉 Aktifkan Paket Juara agar dapat menyaksikannya ya! Dapat juga mengaktifkan Paket Champions Tambahan bagi kamu yang sedang memiliki paket aktif! Saksikan di Channel Total Sports Blast 3! Hanya di K-Vision On Terus! Indonesia! 🇲🇨🏆⚽️" [And this is what we've been waiting for! AFF SUZUKI CUP 2018 is coming soon at K-Vision! 🎉 Activate the Champion Package so you can watch it! Can also activate the Additional Champions Package for those of you who are currently having active package! Watch on the Sports Blast 3 Total Channel! Only in K-Vision On Directly! Indonesia! 🇲🇨🏆⚽️] (in Indonesian). Retrieved 10 November 2018 – via Instagram. ^ MeTube.id (9 November 2018). "Ayo dukung garuda Indonesia berjuang melawan Singapura pada ajang AFF SUZUKI 2019. Saksikan pertandingannya melalui Live Streaming Metube di channel RCTI" [Come support Garuda Indonesia to fight against Singapore at the AFF SUZUKI 2019 event. Watch the match through Metube Live Streaming on the RCTI channel]. Retrieved 10 November 2018 – via Instagram. ^ "Coba pengalaman baru nonton tayangan premium di Vidio Premier mulai hari ini" [Try the new experience of watching premium shows in Vidio Premier starting today]. Vidio.com (in Indonesian). merdeka.com. 3 November 2018. Retrieved 3 November 2018. ^ "RTM penyiar rasmi Piala AFF Suzuki 2018" [RTM official broadcasters of AFF Suzuki Cup 2018]. 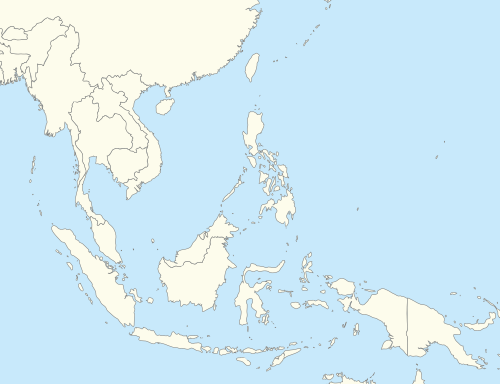 Utusan Borneo (in Malay). PressReader. 3 November 2018. Retrieved 3 November 2018. ^ MRTV YouTube Channel (10 May 2018). Asian Game Indonesia and AFF Suzuki Cup 2018 ဘောလုံးပြိုင်ပွဲ [Football] (0:34) (in English and Burmese). YouTube. Retrieved 3 November 2018. ^ "2018 AFF Suzuki Cup (8 November – 15 December)". Sky Net DTH on Facebook. Retrieved 6 November 2018. ^ JC Ansis (22 October 2018). "Philippine Azkals gear up for campaign in AFF Suzuki Cup 2018". ESPN5. Retrieved 22 October 2018. 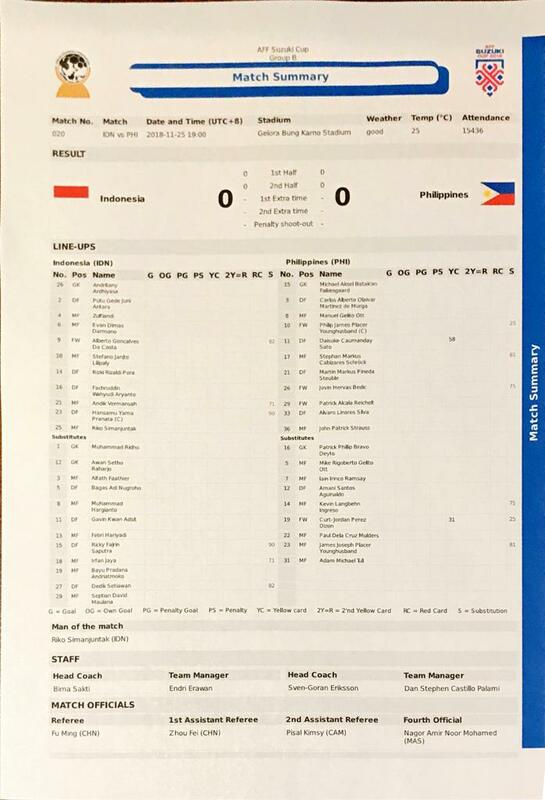 ^ "2018 AFF Suzuki Cup coverage: Philippine Azkals news, fixtures, results". ESPN5. Retrieved 12 November 2018. ^ "oktoSports AFF Suzuki Cup 2018". Toggle. Retrieved 31 October 2018. ^ "ช่อง 7HD และ Bugaboo.tv ยิงสด ศึกฟุตบอล "เอเอฟเอฟ ซูซูกิ คัพ 2018"" [Channel 7HD and Bugaboo.tv show live football "AFF Suzuki Cup 2018"] (in Thai). 7HD. 15 June 2016. Retrieved 15 November 2018. ^ "โปรแกรมถ่ายทอดสดฟุตบอลซูซูกิคัพ 2018" [2018 Suzuki Cup Live Broadcast] (in Thai). Bugaboo TV. Retrieved 3 November 2018. ^ "2018 Suzuki Cup Live Broadcast [Thailand]". LINE TV. Retrieved 8 November 2018. ^ "VTV and Next Media both holds AFF Championship broadcast rights in Vietnam". ICTNews. 5 October 2018. Retrieved 5 October 2018. ^ "有線寬頻 i-CABLE [11/08 – 12/15]" [Wired Broadband] (in Chinese). Hong Kong Cable Television. Retrieved 5 November 2018. ^ "South Korea TV channel to broadcast VN's matches at AFF event". Việt Nam News. 9 November 2018. Retrieved 9 November 2018. ^ "'박항서 매직'에 '동남아 월드컵' 스즈키컵, 사상 첫 국내 생중계" [SBS Sports will broadcast the main events of the 2018 AFF Championship] (in Korean). Goal.com (Korea). 1 November 2018. Retrieved 1 November 2018. ^ "B/R Live – Watch live sports online". Live Bleacher Report. Retrieved 27 October 2018. ^ "Bleacher Report Support – Answer Detail". Live Bleacher Report. Retrieved 27 October 2018. ^ Nhan Dat (26 November 2018). "Vietnam Football Federation fined for players skipping pre-match press meet". VnExpress. Retrieved 26 November 2018. ^ Hoang Khanh Phong (21 November 2018). "Vietnam denied legitimate goal against Myanmar: international experts". VnExpress. Retrieved 25 November 2018. ^ a b Lam Thoa; Duc Dong (22 November 2018). "Aggrieved fans, coach slam refereeing mistakes in Vietnam-Myanmar match". VnExpress. Retrieved 25 November 2018. ^ "AFF Suzuki Cup 2018: Vietnam coach refuses to shake hands with Myanmar coach at Full Time". Fox Sports Asia. 21 November 2018. Retrieved 25 November 2018. ^ G. Lao (22 November 2018). "Bao giờ có VAR cho AFF Cup?" [When will VAR appear at the AFF Cup?] (in Vietnamese). Thanh Niên. Retrieved 25 November 2018. ^ Nguyễn Hoàng Hà (11 November 2018). "'Đầu gấu' đuổi người xếp hàng mua vé AFF Cup lúc nửa đêm" ['Bear head' chases people to buy AFF Cup tickets at midnight] (in Vietnamese). Zing.vn. Retrieved 25 November 2018. ^ "Cảnh sát vào cuộc khi xuất hiện 2 thanh niên lạ mặt đuổi người xếp hàng mua vé AFF Cup" [The police came to the scene when two strangers appeared to chase people to buy AFF Cup tickets] (in Vietnamese). Yan.vn. 11 November 2018. Retrieved 25 November 2018. ^ "AFF Suzuki Cup 2018: Myanmar fans attacked after defeat to Malaysia – Reports". Fox Sports Asia. 25 November 2018. Retrieved 25 November 2018. ^ a b Zaw Zaw Htwe (26 November 2018). "Three Myanmar football fans injured after match in Malaysia". The Myanmar Times. Retrieved 26 November 2018. ^ Mohamad Firdaus Abdullah (26 November 2018). "FAM tetap peka biarpun tiada laporan polis" [FAM remains alert despite no police reports] (in Malay). Kosmo!. Retrieved 26 November 2018. ^ a b "AFF Suzuki Cup 2018: Myanmar demands AFF to take action against Malaysia fan violence". Fox Sports Asia. 29 November 2018. Retrieved 29 November 2018. ^ Farah Azharie (1 December 2018). "FAM dapat dua pertuduhan" [FAM get two charges] (in Malay). Berita Harian. Retrieved 1 December 2018. ^ Eris Eka Jaya; Nungki Nugroho (23 November 2018). "Selain Gugur di Piala AFF 2018, Timnas Indonesia Pun Kena Denda" [Besides being knocked out in the 2018 AFF Cup, the Indonesian national team was also fined]. BolaSport.com (in Indonesian). Kompas. Retrieved 25 November 2018. ^ "AFF Suzuki Cup 2018: Indonesia could be penalised for hilarious jersey error by PSSI". Fox Sports Asia. 16 November 2018. Retrieved 25 November 2018. ^ Sarthak Sharma (24 November 2018). "AFF Suzuki Cup 2018: PSSI Chairman Edy Rahmayadi states ridiculous reason for Indonesia national team's failure". Fox Sports Asia. Retrieved 25 November 2018. ^ "Azkals fans infuriated with Bima Sakti's 'half-blood' comments ahead of AFF Suzuki Cup encounter". Fox Sports Asia. 24 November 2018. Retrieved 25 November 2018. ^ "AFF Suzuki Cup 2018: Philippines Stephan Schrock slams Bima Sakti's 'Half Blood' comments". Fox Sports Asia. 26 November 2018. Retrieved 26 November 2018. ^ Minh Chiến (10 December 2018). "Phóng viên Việt Nam và Malaysia gây gổ trước chung kết AFF Cup" [Vietnamese and Malaysian journalists are against each other on the AFF Cup finalists] (in Vietnamese). Zing.vn. Retrieved 10 December 2018. ^ Quay phim Malaysia 'dằn mặt' phóng viên Việt Nam tại họp báo (Malaysian journalists asking Vietnamese journalists to 'lower your head down' at press conference) (in Vietnamese). YouTube. 10 December 2018. Retrieved 10 December 2018. ^ Ngoc Nguyen (10 December 2018). "Tickets sold out for Vietnam-Malaysia AFF final, many fans disappointed". VnExpress. Retrieved 11 December 2018. ^ "Ảnh chế nỗi khổ khi săn vé online trận chung kết Việt Nam - Malaysia" [The pain of the hunting of online tickets finals between Vietnam - Malaysia] (in Vietnamese). Zing.vn. 11 December 2018. Retrieved 11 December 2018. ^ "AFF Suzuki Cup 2018: Malaysia fans queue up overnight at Bukit Jalil for tickets to the final". Fox Sports Asia. 9 December 2018. Retrieved 11 December 2018. ^ Firdaus Hashim (9 December 2018). "Pengsan, kena pijak kerana tiket" [Faint, trampled over ticket] (in Malay). Berita Harian. Retrieved 11 December 2018. ^ "Nhiều thương binh đẩy tung cửa, phi xe 3 bánh vào trong trụ sở VFF" [Many injured soldiers pushed the door, three-wheel vehicle into the VFF headquarters] (in Vietnamese). Zing.vn. 10 December 2018. Retrieved 11 December 2018. ^ a b Farah Azharie (11 December 2018). "No seats for frustrated Vietnam fans". New Straits Times. Retrieved 11 December 2018. ^ "AFF Suzuki Cup 2018: Vietnam fans furious at overbooked Bukit Jalil for final first leg". Fox Sports Asia. 12 December 2018. Retrieved 12 December 2018. ^ Ooi Kin Fai (12 December 2018). "Overcrowding mars spectacle of AFF final at Bukit Jalil". Goal.com. Retrieved 12 December 2018. ^ "Watch: Should Vietnam's Do Duy Manh have seen a red card for this foul on Malaysia's Zaquan Adha in AFF Suzuki Cup 2018 final?". Fox Sports Asia. 9 December 2018. Retrieved 11 December 2018. ^ "Việt Nam bị cầm hòa đáng tiếc trong trận cầu 4 bàn thắng" [Vietnam held the unfortunate in the game of 4 goals] (in Vietnamese). Thểthao247.vn. 11 December 2018. Retrieved 11 December 2018. Phút 28, bóng chạm tay của ĐT Malaysia trong vòng cấm nhưng trọng tài không thổi còi. [At the 28th minute, the ball hitting the hand of one of the Malaysian player within their penalty area but the referee did not blowing his whistle].